Our county is doing a “special snack” program with our school. It involves delivering a snack to all our students three days a week. 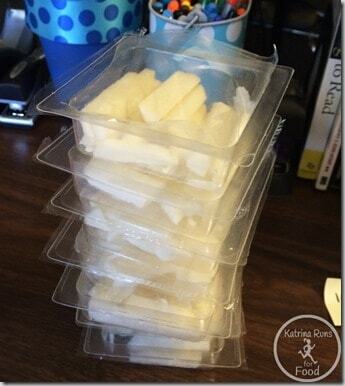 The program started yesterday with trays of raw celery and a small cup of ranch dip. The kids loved it, mostly because anything dipped in ranch is going to be flavorful. However…today was a little different. These are deceiving. 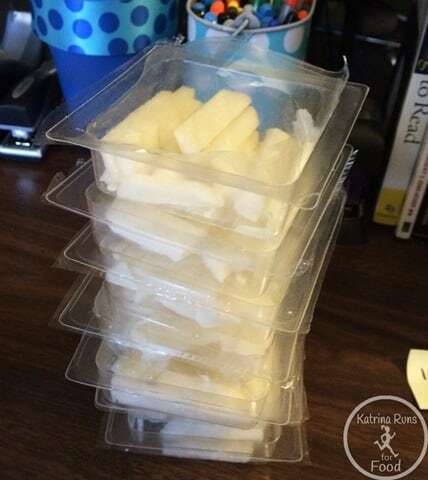 The kids thought they were trays of cheese sticks or apple slices. They could not wait to tear into these. I wisely did not tell them what they were because I wanted them to try it first. There is nothing worse to a 5 year old than food disappointment. What they thought tasted like cheese or apples actually tasted like Styrofoam. Not one child liked it. I have to be honest. I didn’t like it either. It was dry and weird texture. I MUST make something with jicama. I know I can do better than this. I’m a woman on a mission to Jicama nirvana. Once school and after school program were finally finished, I managed to shuffle to the 4runner and get home to make something quick so we could watch the Hobbit-The Desolation of Smaug. We live it up around here. Beef ginger stir fry. I browned some ground meat, threw in pre-chopped celery, carrots, onion. 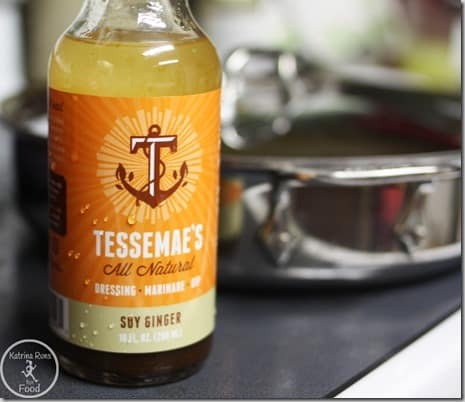 Let all that cook down with some Tamari (gluten-free soy sauce) and big shot of Tessamae’s soy ginger (it is gluten-free). After the veggies were soft, I added broccoli and let it steam. Quick, easy, and GOOD. 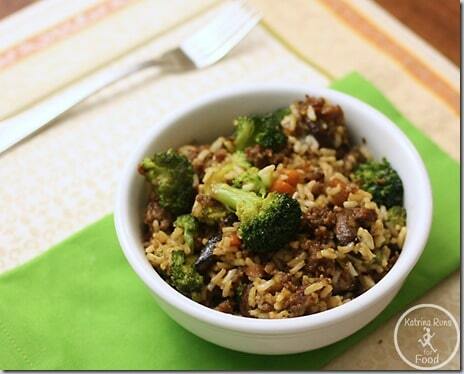 Toss in some cooked rice to make bigger portions. Next week, I may have jicama on the menu. I have to find it first. One day closer to cooler weather….I know it’s out there somewhere.